KINESIOLOGY TAPE IS A THIN, STRETCHY, ELASTIC COTTON STRIP WITH AN ACRYLIC ADHESIVE. Kinesiology taping is a non-pharmaceutical alternative treatment for a wide variety of musculoskeletal and sports injuries, plus inflammatory conditions. SpiderTape applications last for up to 5 days, and are water resistant. SpiderTape Rolls perform measurably superior to the majority of cotton-based Kinesiology Tape products. SpiderTape strives for COMFORT and great SUPPORT. Universal Pre-cut Shapes and Over 17 Body Part Specific Pre-cut Applications. Ankle Spider, Calf & Arch Spider, Elbow Spider, Full Knee Spider, Groin Spider, Hamstring Spider, Hip Spider, Large Fan Spider, Lower Back Spider, Medium Fan Spider, Neck Spider, Postural Spider, Shoulder Spider Left, Shoulder Spider Right, Small Fan Spider, Upper Knee Spider, Wrist Spider, Gentle - for Sensitive Skin, Universal i-STRIPS, Ankle Spider, Calf & Arch Spider, Elbow Spider, Full Knee Spider, Groin Spider, Hamstring Spider, Hip Spider, Large Fan Spider, Lower Back Spider, Medium Fan Spider, Neck Spider, Postural Spider, Shoulder Spider Left, Shoulder Spider Right Small Fan Spider, Upper Knee Spider, Wrist Spider. 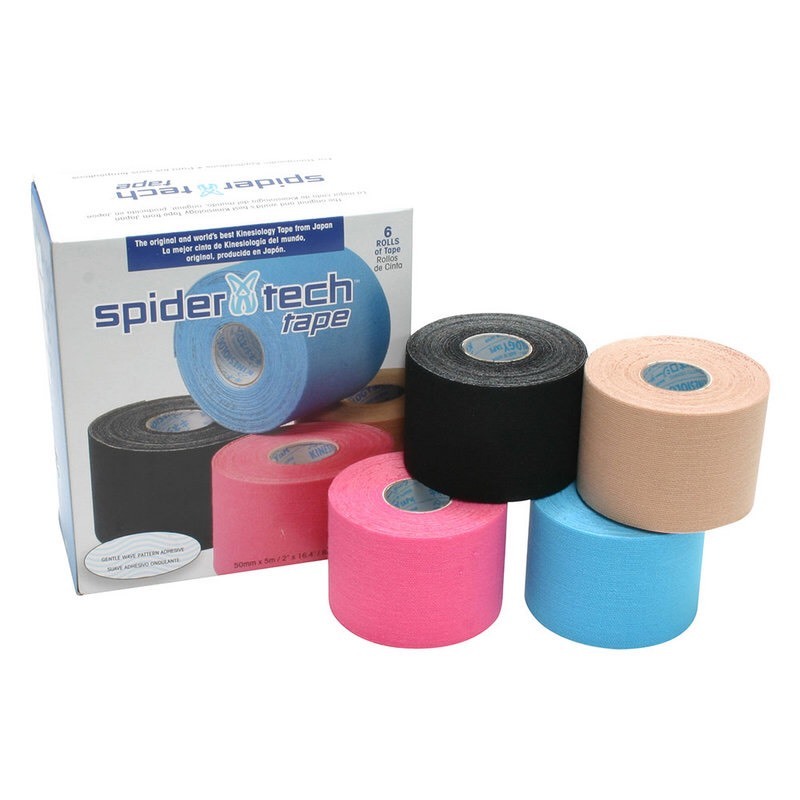 Dr. Pierce has availability to the most comprehensive line of SpiderTech™ kinesiology tape of available today :Rolls, Universal Pre-cut Shapes and Over 17 Body Part Specific Pre-cut Applications.